Dogs grow up just like we do. They grow in other ways and with other tempo. In a few years our little puppies turn into the dogs that in their glance we have learnt to llok at the world from another point of view. They grow up and they need us even more. They remind us of the people of our childhood whose will to remain on our side was always stronger even though their strength was abandoning them. Taking care of a senior dog is a great lesson. It is the first step to accepting the fact that our dog will not be around forever. It is the hardest truth we have to manage in our joint life with them. Health problems that arise will require our time and understanding. Their glance has changed. They are thanking us with every breath they take, because they know. They are happy with the little things. When they played a little more that day, when they managed to see a little better the other, or listen to a few more things the next. We celebrate each year with them in a different way. 14, 15, 16 years. Each additional day is a reason to celebrate. And they have their way not to make us feel bad, no matter what’s happening to them. 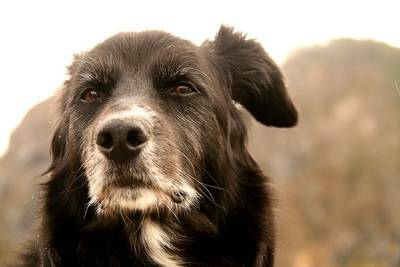 The more our dogs get older, the more they need us. They will start doing things they didn’t used to do when they were younger and we need to be understanding rather than grumpy and angry with them when they do. They will no longer do certain things we had taken for granted. But this is no reason to abandon them or to pity them. It’s just our relationship being re-determined and preparing for change. It’s the moment when our love is required ten times over. This article is dedicated to the family of a dog named Fredy, who felt grateful until the very last moment for having them by his side, and he did everything he could to celebrate each and every day.